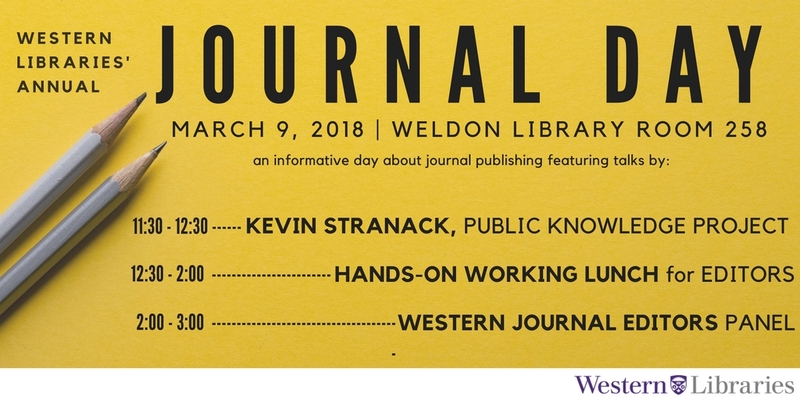 Organized by Western Libraries, the aim of Western Journal Day is to provide support to scholarly journal editors at Western as well as to engage with those interested in setting up new open access journals or transitioning existing journals to an open access model. Space is limited; please pre-register. For more information, please email the Western Libraries Scholarly Communication Subcommittee.